Digital fridge/freezer alarm thermometer with max/min function. Fridge Freezer Thermometer. Max/min digital fridge freezer alarm thermometer that indicates temperature over the range of -49.9 to 69.9°C with a resolution of 0.1 °C/°F and an accuracy of ±1 °C. 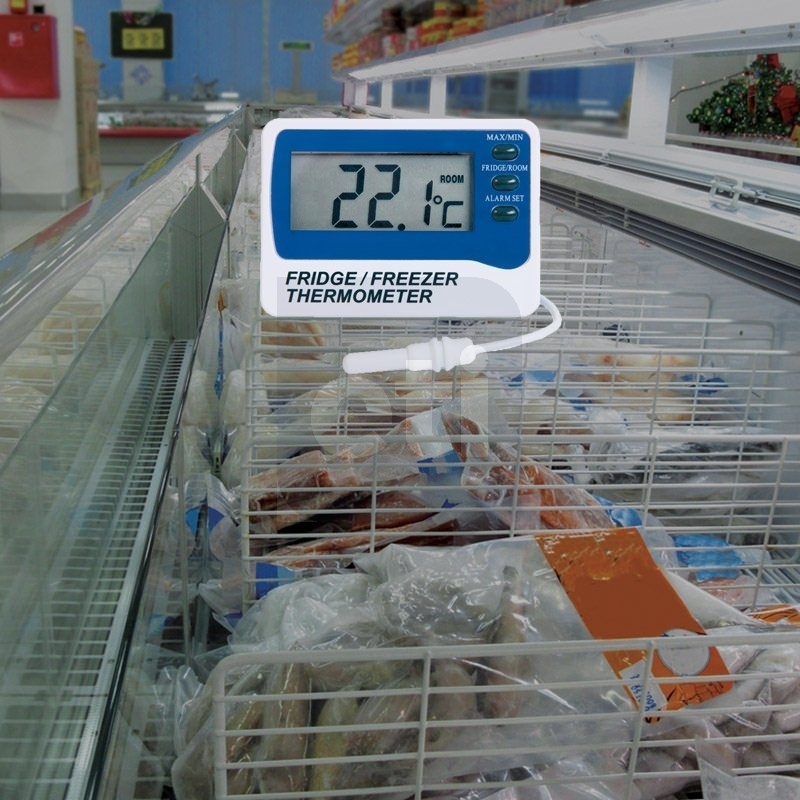 The thermometer is housed in a robust ABS case and incorporates a foot-stand for shelf mounting..